The movie has Samyuktha Hegde as GVP’s pair and Yogi Babu, Suman and Raj Arun play key roles. 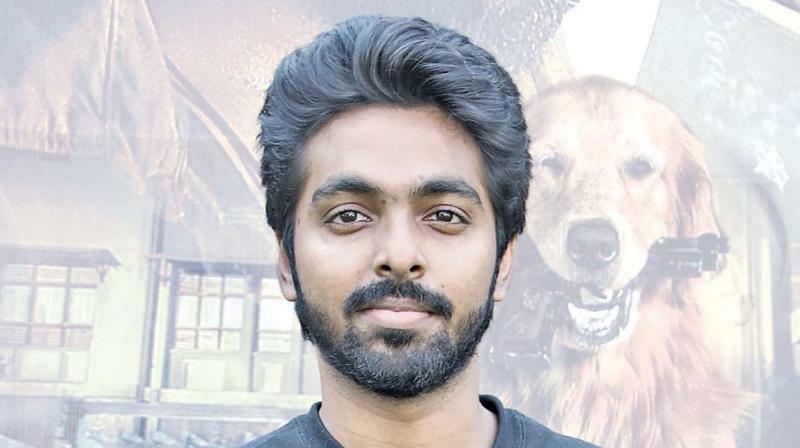 GV Prakash, who has several films in his kitty, is eagerly awaiting the release of his upcoming thriller Watchman directed by Vijay. The movie has Samyuktha Hegde as GVP’s pair and Yogi Babu, Suman and Raj Arun play key roles. At the recent promo meet of the film GVP said, “I have collaborated with Vijay for music closer to nine films. This is the first time I am working as an actor with him. In fact, while working in Naachiyar, Bala sir asked Vijay to join him while shooting. It was Vijay sir who sketched and designed my looks in Naachiyar. So, that was my first spot experience with him. In Watchman, he gave me a lot of space for my reactions and expressions. It’s an interesting thriller. It is a stylish film with loads of entertainment. And yes, a thriller, which has got a U Certificate from censors! Kids would love the film, since it has a dog as the central character. Bruno from Mumbai played the role and you need lot of patience to work with animals and I thoroughly enjoyed it. As an artiste, it was very gratifying film for me. I am very excited and looking forward to it.” Bankrolled by Arunmozhi Manickam, the film hits the marquee on April 12.